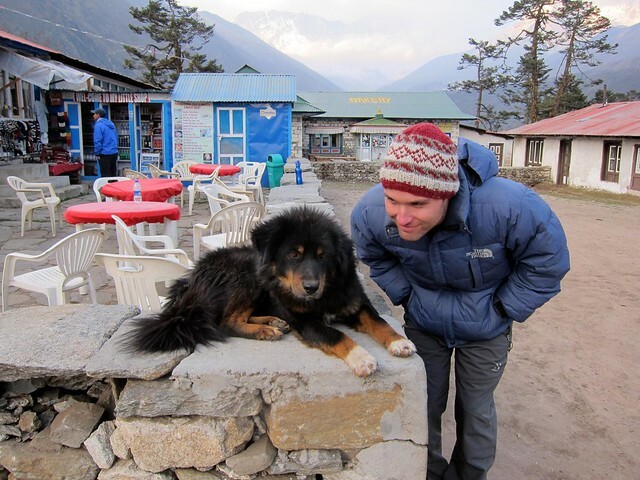 EBC Trek, Day 4: Namche Bazaar to Tengboche – snackettes. As much as I had been trying to tell myself it was only my imagination, I woke up this morning to a face-full of reality. I had contracted a gnarly sinus infection, and it was only getting worse. This would complicate everything: How many additional rest days would we need to add to our trip? How would it affect my ability to acclimatize? Had this measly affliction just wrecked our plans of reaching EBC? Even without the sinus infection, Scott and I had a tough day ahead of us. Although we would only be covering about 4 lateral miles, the hike would take most of the day and increase our elevation from Namche Bazaar to the tiny village of Tengboche at 12,600 feet… and we had heard that the final push to Tengboche was a grueling 2.5-hour uphill hike with no facilities at which to rest. Scott graciously strapped my sleeping bag to his backpack, while I re-ducktaped my blistered toes and shoved a wad of Kleenex into my pockets (what a disaster I was — poor Scott). 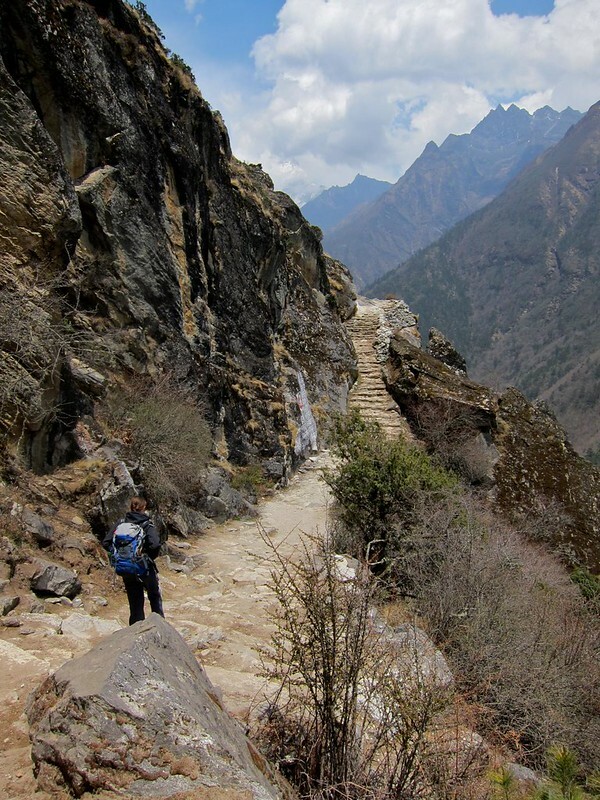 Winding our way out of Namche Bazaar, we came upon a fork in the road; to the right lie a flat, meandering path that led more-or-less to Tengboche, while to the left lie a far more grueling path that held the all-too-tempting prospect of passing by one of the best viewpoints of Mt. Everest on the entire hike to EBC. Needless to say, we didn’t hesitate to go left! We jumped back on the trail, which we could see meandering ahead of us for miles..
As we hiked along the ridge of the mountain just past the lookout, we passed a middle-aged woman who had fallen behind her group that had passed us a while back. We offered a cheery “hello” as we passed and didn’t think much of it when she didn’t respond with more than a small grunt. She was clearly tired and obviously trying to conserve everything she had. We quickly pulled ahead and crossed over a large dry, rocky field. Without thinking why, I glanced back to check on the woman’s progress, and was terrified to see her sitting down far back down the trail, nearly where we had left her, with her hands up in the air in a large “V”. Assuming she needed help, Scott and I jogged ahead to find her group’s leader, figuring that going back for her would make less sense than going forward to find someone who had medication or who could help her go back down to Namche, if needed (altitude sickness can often be cured simply by descending a few hundred meters for a day or two, and we found that the pace of many guided groups can be faster than some hikers may need – causing some to push a little too hard and get sick). Scott and I frantically split up and began asking people along the trail if they knew the woman matching her description. No one did, but I soon passed a big group who was going back in her direction, and I asked them to please check on her while I continued to look for her group. I knew they would run into her after a few minutes and be able to help her back down the hill, if she needed it. After the initial flurry had subsided, I finally realized that I was now in a predicament of my own: I had lost sight of Scott and had no way to contact him if I was unable to find him. Knowing he wouldn’t have gone too far ahead, I again ran back in the direction of the lodge again and simply waited, hoping he wouldn’t think that I had run ahead down the trail. After what seemed like forever, Scott finally appeared on the steps of the lodge, where he had been inside talking to the various groups (the place was huge, and apparently, I just hadn’t seen him the first time). I ran to him and started crying. “Don’t ever do that to me again! I thought I had lost you,” I sobbed, realizing my emotions had gotten the best of me. …Of course, I knew he hadn’t done anything wrong… I’d simply begun spinning ideas in my head of Scott moving ahead to the next village while I went looking for him in the other direction, for example), and we would have had no way to contact each other. We had one cell phone between us, and hadn’t made an emergency meeting point, since we had always planned to stay together. 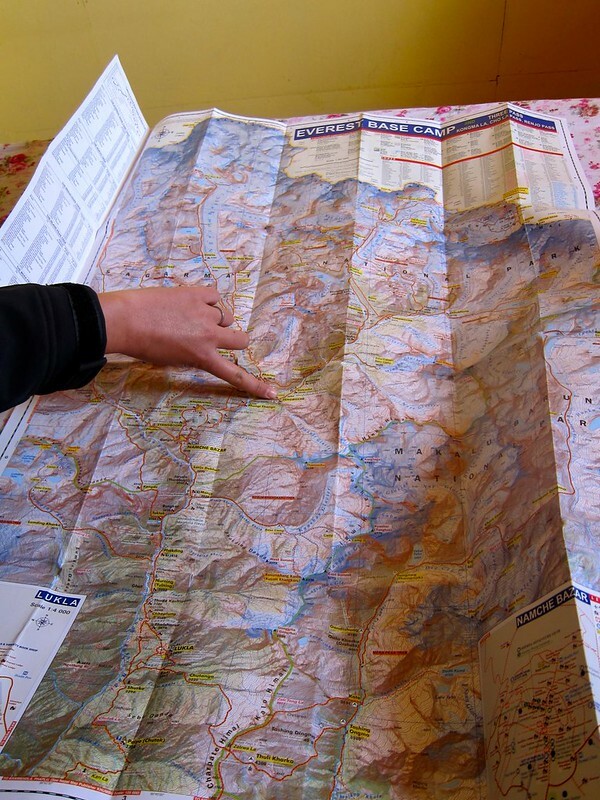 Thereafter, we made sure we always had a plan…. We never found the woman’s group at the lodge, so we felt like we could do more good by continuing on down the trail to look for them (in the direction we were going anyway), while the other hikers I had spoken to would have run into her in a matter of minutes. 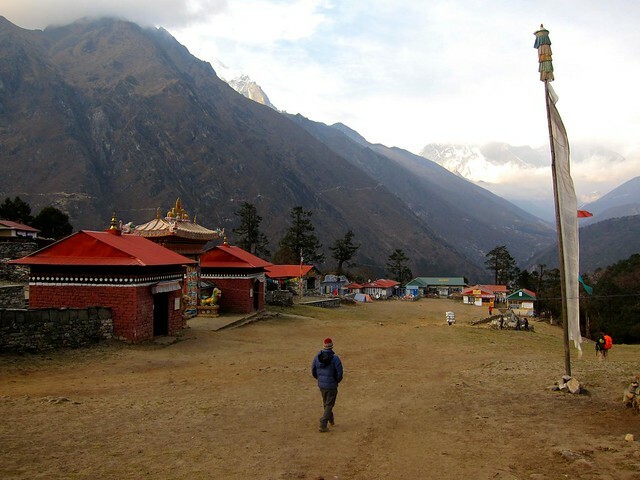 So we continued to the village of Khumjung, halfway between Namche and Tengboche. We reached Khumjung and asked around, but never found the woman’s group. 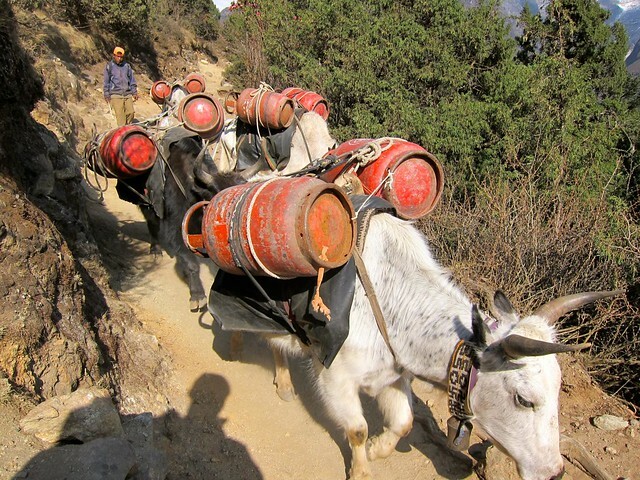 It seemed we had done what we could, so we pressed on toward Tengboche. We passed many more yaks, each one more adorable than the last– not merely due to our growing fondess but largely owing to the fact that these were a different breed of cold-weather yaks from Tibet, and their keepers let them grow out their beautiful fluffy fur coats! We stopped for a rest and a bowl of soup, and pulled off our boots and just sat in tired silence. 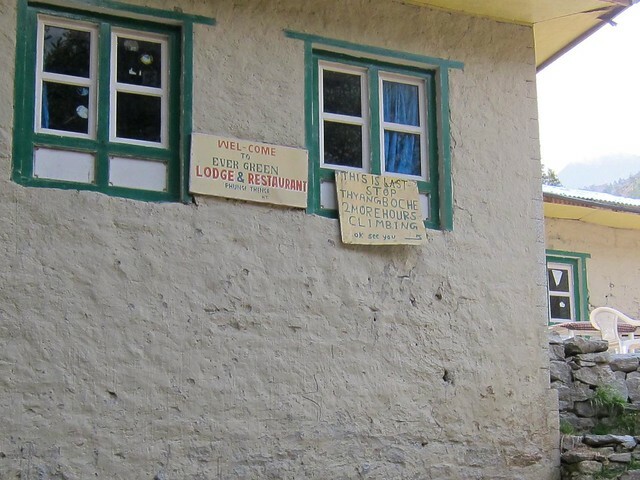 I probably would have talked myself into staying at this lodge if the caretaker hadn’t been a bit too pushy with us, but thankfully that encouraged us to press on! Across from our table were 2 men in their early 40’s who we had been passing back-and-forth on the trail for several days. 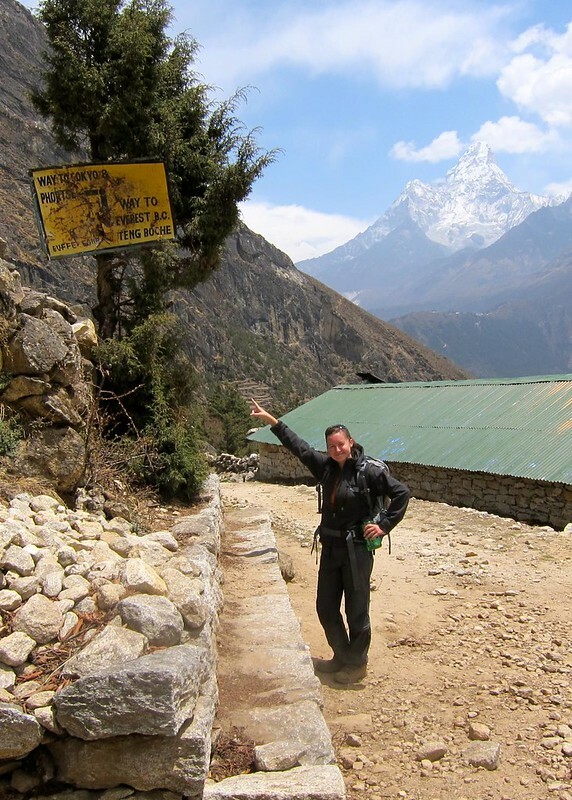 We had all exited Lukla airport together and started on the trail at the same time. They looked a lot more tired and worn than we did, and we later learned that they ended up sleeping in the lodge for the night and that one of them unfortunately never made it all the way to EBC. 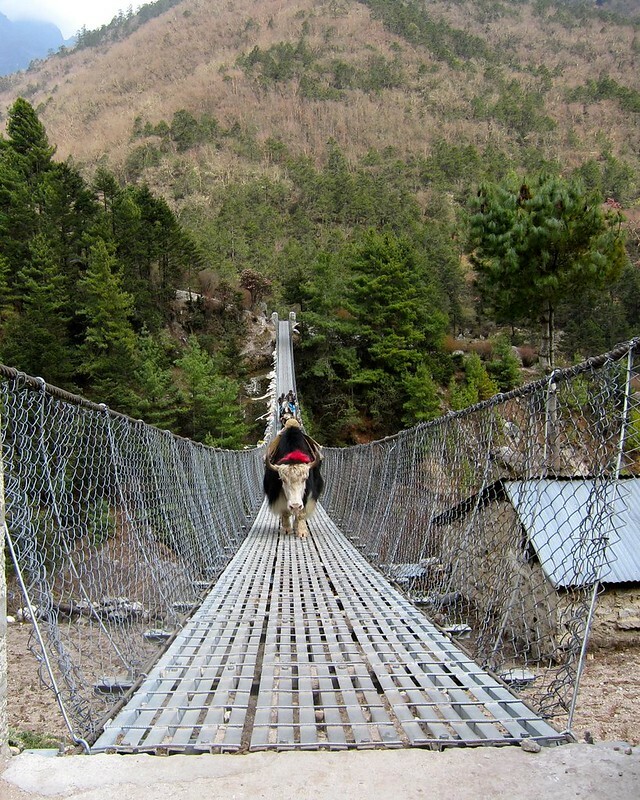 We laced up our boots and hit the trail again… after the yaks cleared the suspension bridge! As usual, the trail was tougher than we expected– 2.5 hours of switchbacks along the side of a barren mountain– but we had nice company along the way, and a beautiful clear sunny day with incredible visibility. 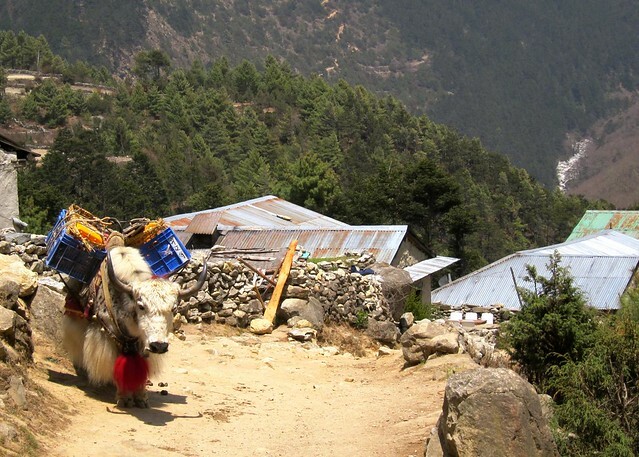 Near the bottom of the mountain, we met a Nepali woman who was returning to Tengboche after buying supplies in Namche. Her English was perfect, and she seemed well-educated. 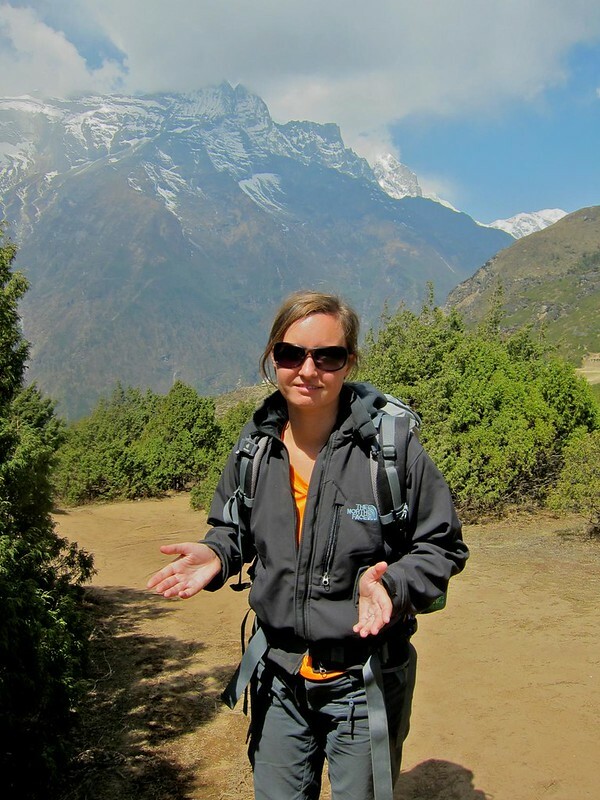 She told us that she ran a lodge in Tengboche that was open for only 6 months of the year, during the hiking season (like most of the lodges in the higher altitudes of the trail). 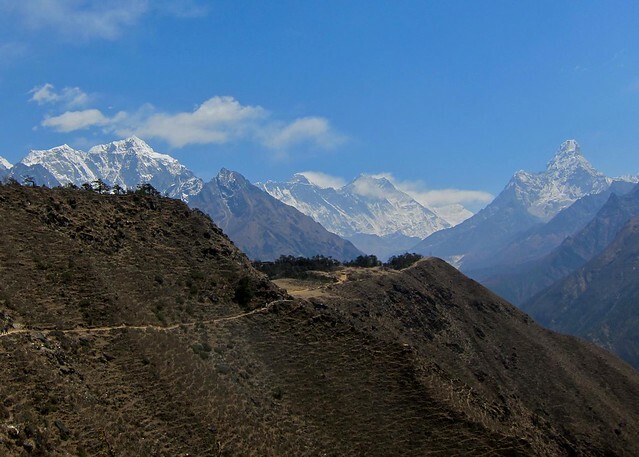 In fact, she pointed out that no one lives any higher than Tengboche during the winter season and that everyone moves their families down to lower elevations to ride out the cold in the off-season. 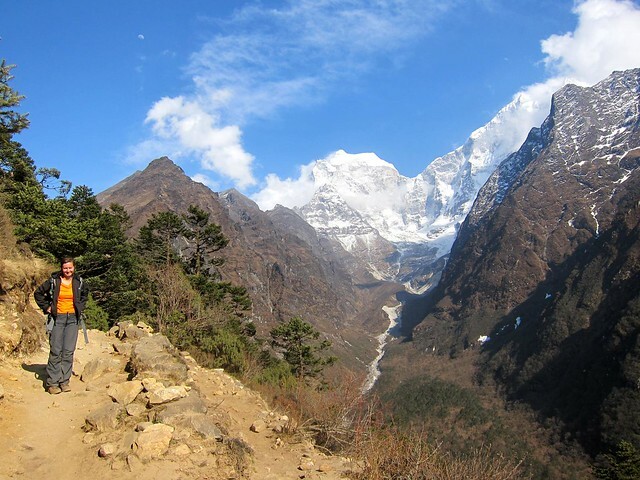 During hiking season, she said, she makes the day-long trek from Namche to Tengboche nearly twice a week– and to think I was worried I wouldn’t be able to do it once! Despite being many years our senior, she plowed on ahead of us after a little while, while I struggled to bring up the rear. 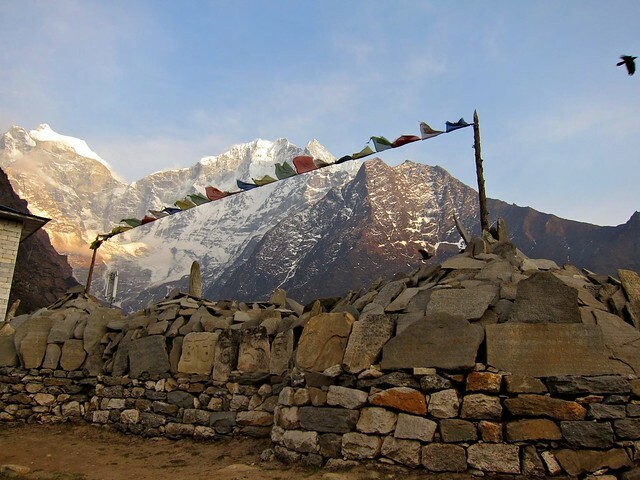 Right as the sun was starring to set, we finally tumbled into Tengboche. We entered the first cozy-looking lodge and found a ruckus of activity in the dining area. There were at least 3 large groups all packed around the stoves and tables, drinking and chatting loudly. We worriedly asked the caretaker if there were any rooms– there was one (1!) left. Most of the rooms had great views of Everest, but ours looked the other direction. 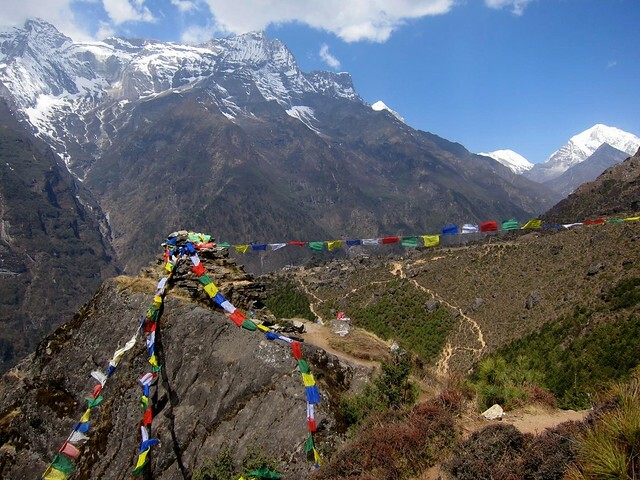 Still, the view of the prayer flags and carved stones set against the inhospitable craggy peaks in the near distance was beautiful and serene, and gave us a fun, nervous feeling that the trek was becoming a little more serious. 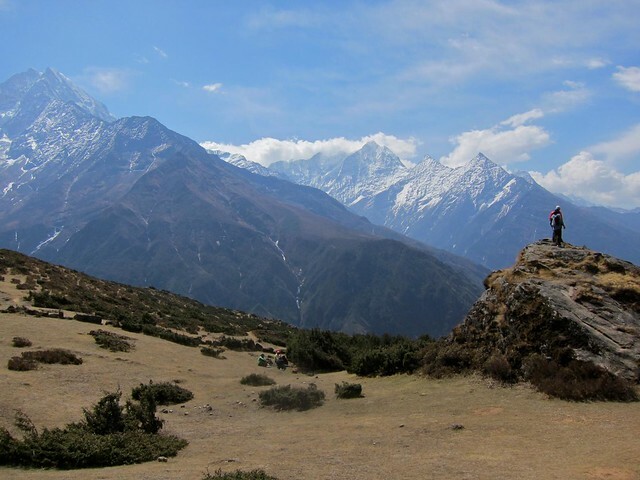 The cold in the air was more evident in Tengboche than it had been anywhere on the trail so far. 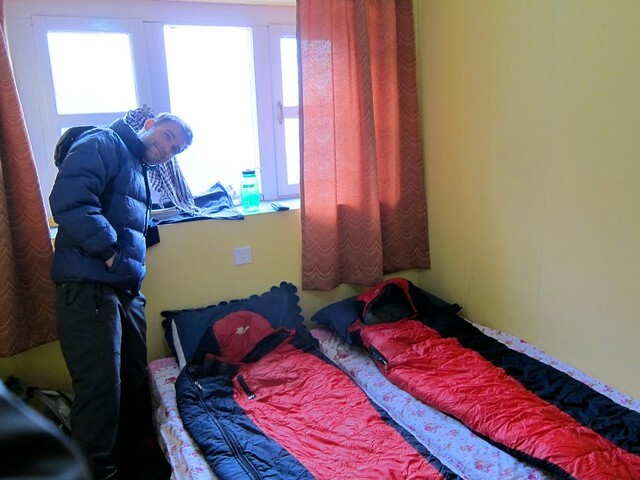 Our little room had no heat of course, so in usual fashion, we pushed our beds together and got our sleeping bags ready for maximal warmth. With our room ready for the night, we went back outside to explore the tiny town. 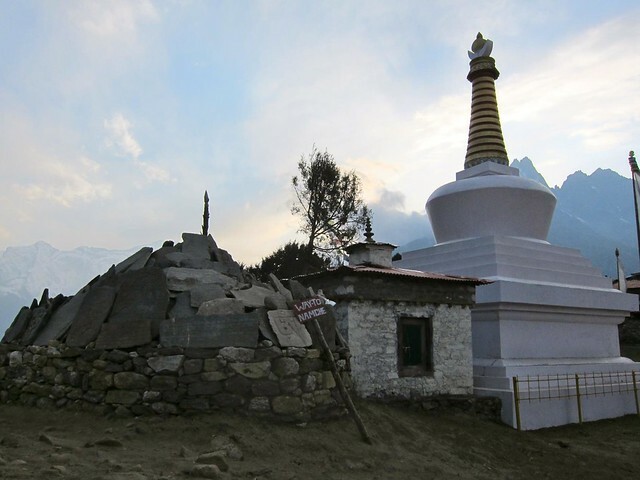 Tengboche was nothing more than approximately 3 small lodges, a bakery, and a monastery, set upon a beautiful clearing. 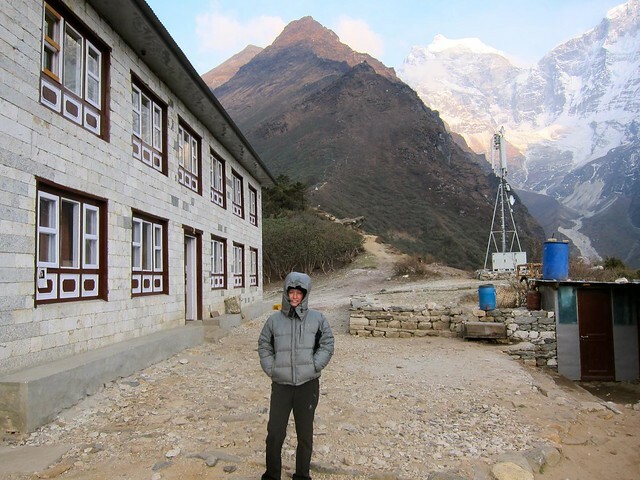 The town was surrounded by massive, beautiful, cold mountains with views of Everest in the distance. Sweet puppy that we found near the Nepali woman’s lodge who we had spoken to on the hike. 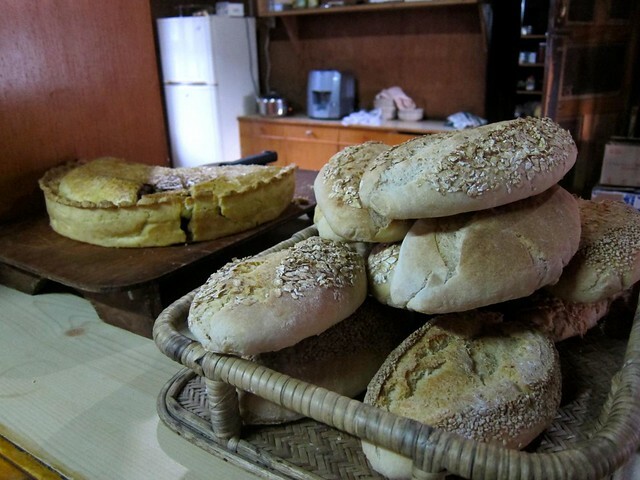 We stopped into the bakery to warm up and take in some warm, homemade apple pie and hot Nepali milk tea…. …and then crawled into bed. It was far too cold to think about taking a shower, and the prices for a shower were increasing (only about 200 rupees, or $4, which is admittedly very little, but we were working off of a fixed pile of on the trail cash and didn’t know how much we’d need towards the top), so we went to sleep dirty and still in our hiking clothes, ready to go up again the next day!